We are in an era of donor a fatigue, a time when people want to cut back on aid abroad. Africa has come a long way, but as you pointed out, with 16 percent of the world’s population, it has 24 percent of the disease burden and 50 percent child mortality. Why would you want to invest your time and energy in this place? It never gets better, is what some people think back home. That’s a problem if we don’t clear up that perception — if you feel that Africa was poor, Africa is poor, we sent a lot of money there, and they are still poor, and it didn’t make any difference.Africa has had a good 20 years by relative measures. Childhood death has been cut in half, deaths from HIV are half of what they were at their peak, deaths from malaria are half of what they were at their peak. Other continents don’t have quite the disease challenge that Africa has. 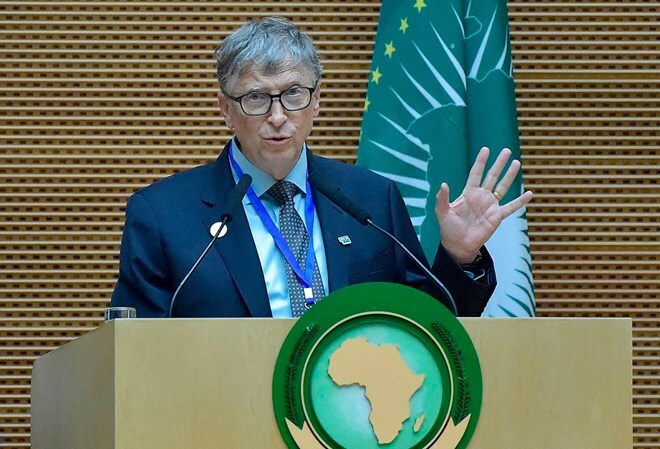 I engage in African health because with the right partnership, we can get a lot done, and it’s the last place on earth where [in some places] 20 percent of the kids die before the age of 5. It is not unrealistic to get that number [to] 4 percent. Rich countries are about 1 percent. We won’t get to 1 percent in a 20-30 year time frame, but we can get down to 4 percent. Going from 20 percent to 4 percent, the total number of lives is amazing. A lot African leaders will say the Europeans and the Americans will do this or that with aid, but when the Chinese come, they give us loans and we build a port, we build a superhighway, we build railroads. This is the kind of aid we need. You are following the approach of Western countries, which is capacity building and health. Why is that? Why not help build a bridge? Our two things we concentrate on are health, by far the biggest, and agriculture, and then a few other things like financial services. It’s important to distinguish between basic social services like a vaccine that keeps a kid alive and bridges and roads. They are both very important. We like roads where you can get the vaccines in, and you can get the fertilizer in, and kids can go out to school. Roads are very important. But the Chinese, that’s not aid. They aren’t giving those roads away. There is largely sovereign debt being created to pay for those things. China and India did this amazing job of moving people up out of poverty. Now in Africa, you will have by 2050, 86 percent of the world’s extreme poor living here. Is that breakout going to be possible here, or will they be left behind? It hangs in the balance. They’ve certainly been left behind in that they are the poorest continent, even though they’ve had a good 20 years by many measures. It hangs in the balance of how much catch-up will do it — they could also fall further behind. Africa is unique in that it still has significant population growth. There is this huge shift where the non-African part of the world births are going down a lot, and in Africa the births are going up. I am struck by the way when you talk about Africa, and the population, you see it as an advantage? What I’m used to hearing is Africa is a menace for the rest of the world, through migration. You see it differently. How do you explain it to the rest of the world, that Africa is not this population menace that’s going to overrun us. Having half the world’s young people on this continent, you’ve really got to hope those people in terms of innovation, stability and education are contributing to the world instead of just being something you worry about in terms of migration, instability and epidemics that come out of Africa. From a pure humanitarian basis, those are people, and what we take for granted, all of them should have. If you care about equality, getting rid of extreme poverty should absolutely rise to the top of the list. If you think of other humans in other countries having any importance. So there is the moral issue. That is an equality-driven one. And then there is, hey, let’s have this world that’s really stable. We do know that once you get economies to a certain level, the quality of governance goes up a lot. Putting it in the positive framework is the right thing to do, and it is how I think of it. It requires pretty broad thinking, and where you get that thinking you don’t get it in the daily news, no matter how enlightened the reporter is. You could have run the headline that 137,000 people exited extreme poverty today. You could have run that headline 25 years every day, and it would have been true news. But what day was that news? It’s kind of this gradual thing. A lot of the ways the world has improved don’t fit this, “Hey, tell me about the latest disaster.” Mostly negative things fit that framework.